"Use this daily devotional and prayer diary as a notebook or Prayer journal. The Daily Devotional has Journal features such as prompts for writing topics and lines (in print addition) at the end of each devotion. 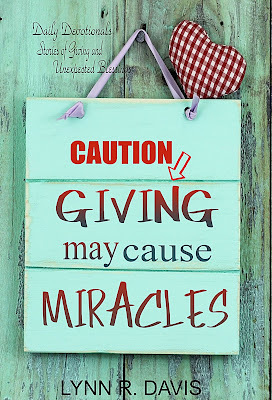 Devotions are stories about charitable giving and also giving in difficult situations. A great daily thanksgiving devotional for readers who like to journal their prayers and keep track of prayer requests as they intercede for others." Available on Amazon for Kindle and in Print Paperback. 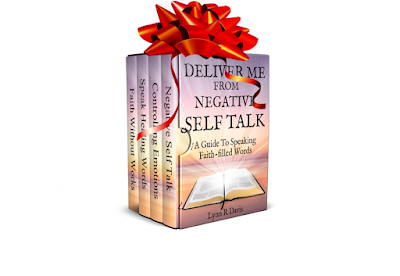 SELF TALK BOOK FREE KINDLE BUNDLE NOVEMBER 11-13TH! Download Your Four Book Bundle For Just *.99c ! Dream of living a life without struggle? You're not alone. Every struggle has an expiration. You can have success after struggle. The Struggle Is Real Pack contains three of my latest bestsellers: How God Sees Your Struggles, Who Cares What They Think Anyway and The Faith Mindset To Fight On and Win. This transformation self-help ebook set is a wonderful inspirational message of hope to help overcome the struggle of life by faith. Your faith can bridge the gap between struggle and success. It's a wonderful addition to your Christian self-help or personal development library. 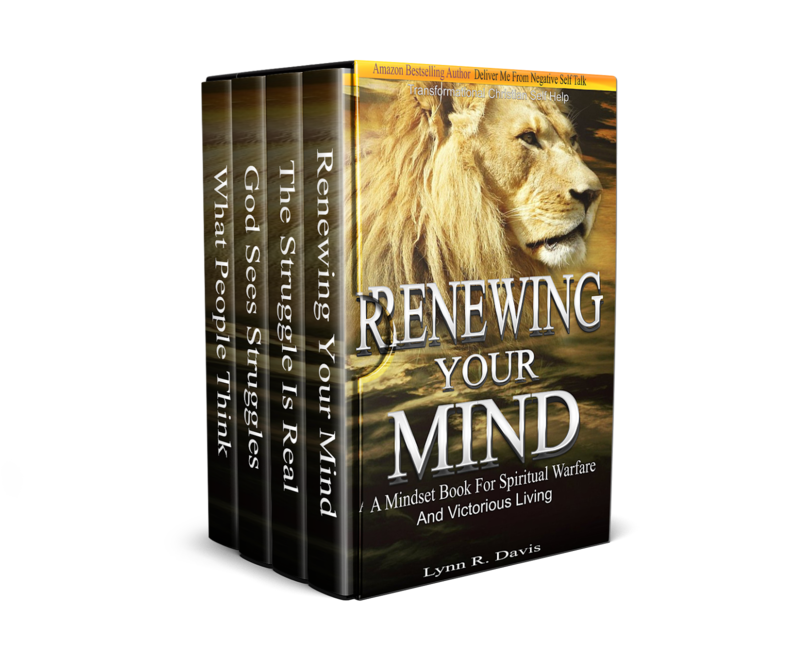 If you enjoy reading books that support improving your spiritual growth and fortifying your faith mindset, this Christian ebook set will be a blessing to you. HAPPY 5TH BIRTHDAY SELF TALK BOOK! Can you believe it's been 5 years since Self Talk book went live on Amazon.com for Kindle readers? It seems like just yesterday I was nervously hitting the "publish button" in my kindle back office. I was nervous that such a simple message wouldn't be well received. That and it was only the second thing I'd ever published. I hit that publish button on November 12, 2012 and the rest is history. Positive feedback and reviews started pouring in from people who were blessed by the message. Sure there were some who disagreed with it, but on the whole, the e-book was well received. So much so that a few years later a publishing company reached out to me. 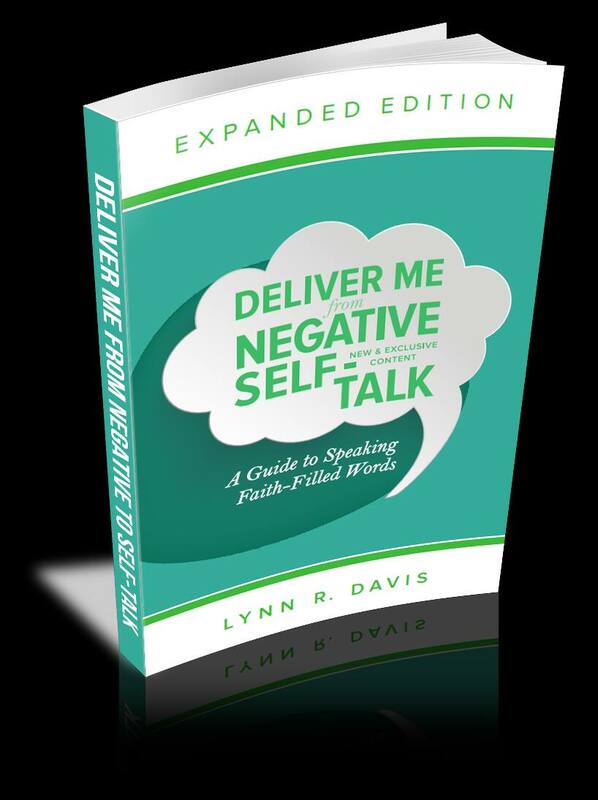 The result, Deliver Me From Negative Self-Talk Expanded Edition: A Guide to Speaking Faith-Filled Words , was published and made available in stores. I was and still am amazed at how God has used the simple message to change lives. From that book, an entire set was born that would continue to be the most popular of every other kindle book that I have written since. Speak God's word over your life. Affirm His word even in tough times and His word will never return void. Every day I declare God's promises over my family. In the Negative Self Talk Series, I share personal testimony and blessings from my own experience. 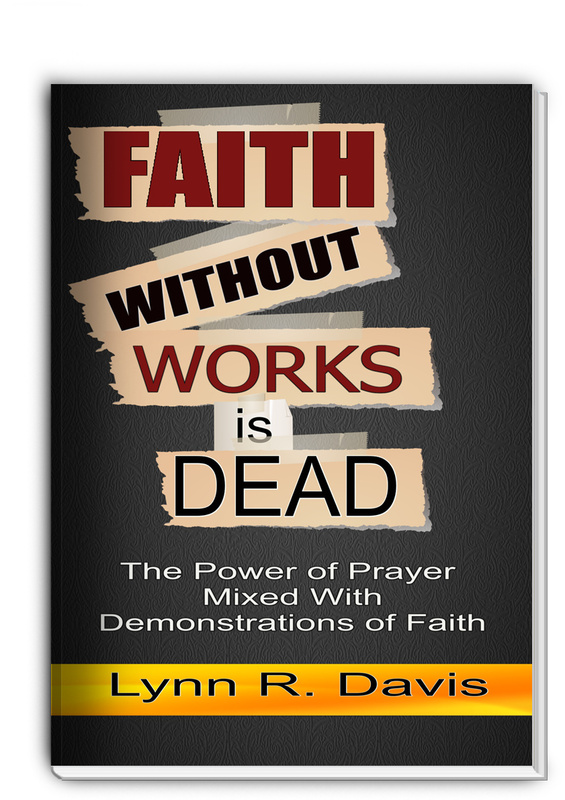 (BONUS book #4)Faith Without Works Is Dead: The Power of Mixing Prayer with Faithful Demonstration. 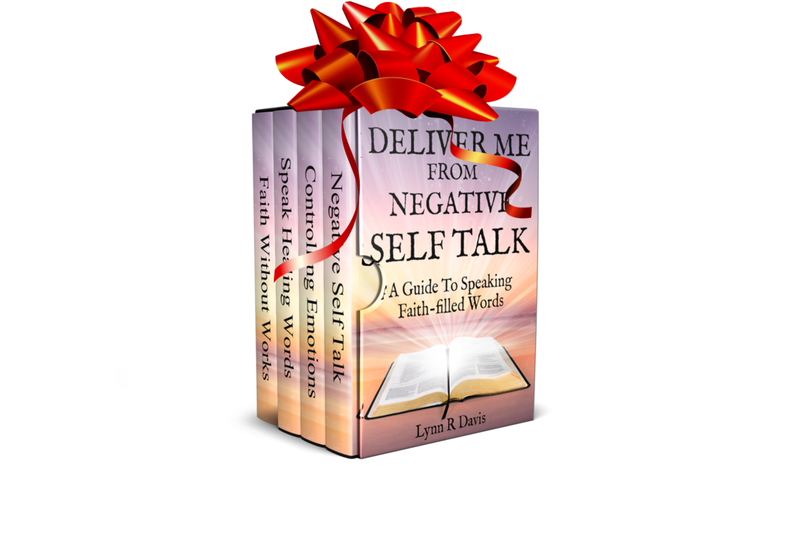 Download the Self Talk Series on your Kindle. RENEW YOUR MIND AND YOUR LIFE. GET STARTED. CLICK BELOW FOR YOUR COPY! "Mindset" is one of the latest buzz words in the coaching industry and for good reason. Your mindset controls everything you do and more importantly everything you have manifested to this point in your life. Look around you. Do you want to change it? If so, you can. 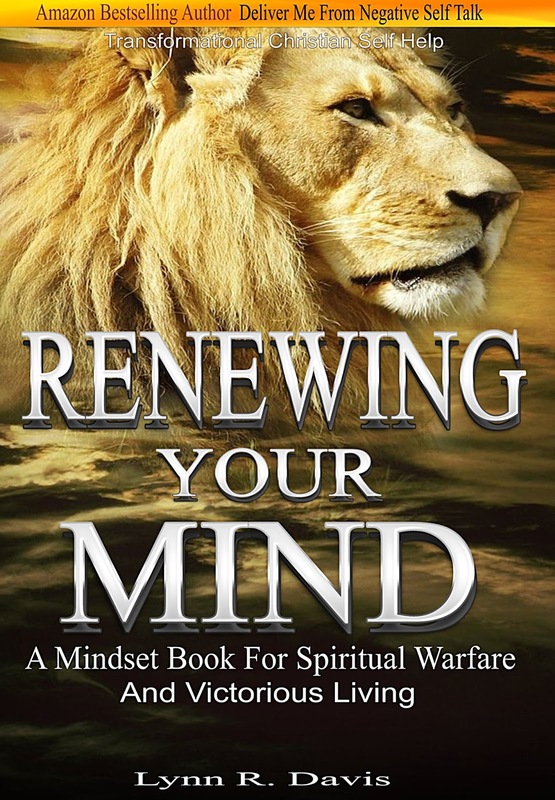 “Be not conformed to this world, but be ye transformed by the renewing of your mind.” (Romans 12:2) This mindset book will transform you from the inside out. 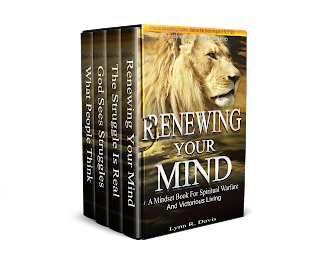 You can makeover your life by renewing your Spiritual growth mindset. 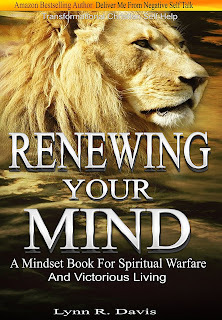 In fact, renewing your mind is the key to your success now and forever. A faithful fixed mindset is the Substance of Your transformation and ultimately your victory. Establish a fixed mindset built on the foundation of the Gospel of Christ. Renewing your mind will give you access to spiritual steps to take in order to overcome your toughest obstacles and life struggles. Did you know that a faith mindset that will transform thought processes in the time of crisis. You will begin to live Isaiah 54:17, that promises "no weapon formed shall prosper against you". Faith in Jesus Christ and the power of prayer are foundations for spiritual success and living a victorious life. This mindset book includes verses on faith, prayer, spiritual warfare, and how to live by faith. Click the link to get your copy of the mindset book, Renewing your mind HERE! Click The Below Link To Visit Amazon.com and Download The Free Ebook Offer. Description This book is inspirational and motivational. You want to be a prayer warrior. You want get results. But something isn't working. Even though you've prayed scripture and chosen your words wisely, you still aren't getting results. The words you speak are vitally important. But so is the action that you take afterwards. We all know, "Faith without works is dead," but we too often forget that activating our faith requires a bit of action on our part. We have to do something.And its important that we do the right things.Quick and easy read. Inspiring pages of inspirational quotes, christian humor, and true personal testimonies. Learn from biblical examples how to pray and declare what God says and then get up and take action. Learn to replace your negative self-talk with positive Faith talk. Declare favor over your life and then get up and take hold of it! This book can be used as a daily devotional. It will help you focus your faith and take action to get results and change your life. God Bless! Bills pile up; relationships fall apart; kids go wild; and co-workers are sometimes completely nuts. The struggle is truly real, but God's Grace is amazingly life-changing. His Grace makes everyday better. When God intervenes, no struggle can overpower us. 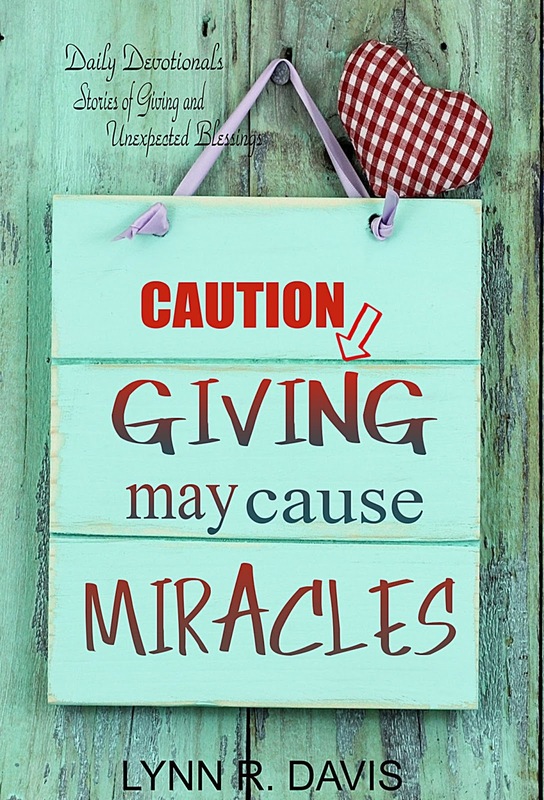 Encourage yourself with daily prayers, devotionals and bible stories for adults. Build up your most holy faith.Never underestimate the power of God's love working through your faith. Gain strength and build your faith as you meditate on bible stories about the best of the best; struggles to success; stories and parables in scripture. The Struggle Is Real, but so is Your God. In every struggle there is a lesson a blessing and a success. Struggle free living is not always possible, but victory over struggle is always possible with God. We may go through tough times, but scripture tells us we can be delivered from them all. Learn to bridge the gap between struggle and success and walk in a new level of peace, joy, and happiness. Thank You Sowing Into My Writing Ministry. Change Your Negative Self Talk Now!